The second season of the One Piece anime series contains a single story arc, called "Gurando Rain Totsunyū" (グランドライン突入, lit. "Enter the Grand Line"), which adapts Eiichiro Oda's One Piece manga from shortly after the beginning of the 12th through the beginning of the 15th volumes over 15 episodes, following the first adventures of Monkey D. Luffy's Straw Hat Pirates in a fictional sea, called the Grand Line. Stuck in the bowels of the giant whale Laboon, they encounter the whale's caretaker, an old man named Crocus, and Nefeltari Vivi. Taking her with them, they make enemies of the Warlord Sir Crocodile's secret organization, Baroque Works, and befriend the giants Dorry and Broggy on the prehistoric island Little Garden. The second season of the One Piece anime series was directed by Kōnosuke Uda and produced by Toei Animation. In the English language adaptation of the series by former licensee 4Kids Entertainment, the season’s 15 episodes were cut down to a mere four. The second season of One Piece is mainly used for planting seeds to be further expanded on in the later seasons. The animation is consistent with the first season. The catchy themes “Believe” by Folder5 and “Run! Run! Run!” by Maki Otsuki continue to the second season. Two more ending themes were introduced in this season, “Watashi ga Iru Yo” (私がいるよ, lit. “I Am Right Here!”) by Tomato Cube and “Shouchi no Suke” (しょうちのすけ, lit. “That’s a Fact!”) by Shōjo Suitei. Both new songs will burrow into your brain and will remain there for a while, especially “Shouchi no Suke”. This season start with the story of the whale that was left behind, and will later be revisited in the later season (I won’t spoil it here). This season is also the prequel of the Alabasta arc, where we will be introduced to another new crew member. We are also given some story on what is going on with Coby and Helmeppo, whom we’ve met in the first season. It does feel a little like filler episodes, but it is important for us to know these characters are following their own dream and not just cast aside. 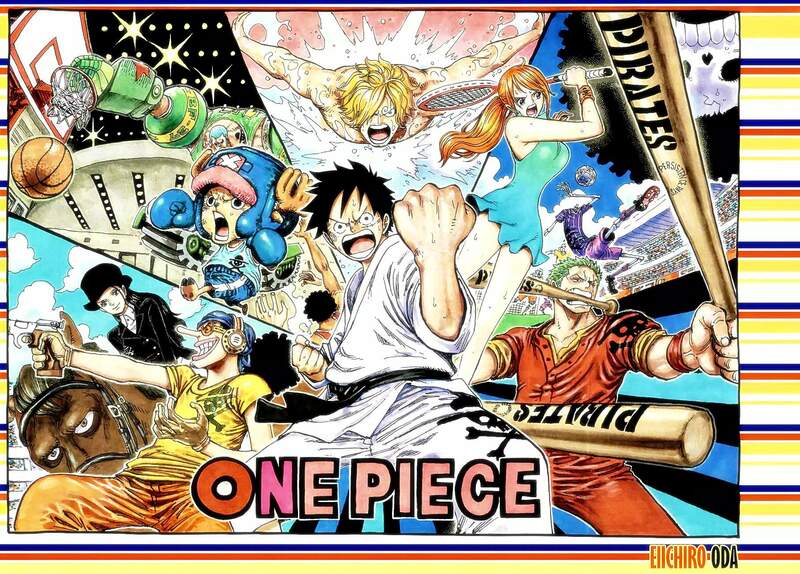 The Straw Hat crew continue on their journey, where they met the two giants, Dorry and Broggy. This short arc on this island will also be revisited in the later season. One good thing about this short season is there are no filler episodes. Though the season was short and not a lot of major actions, I still recommend it to the fan of the series. One Piece contains moderate graphic violence and suggestive themes/dialogs. Intended for young adults.